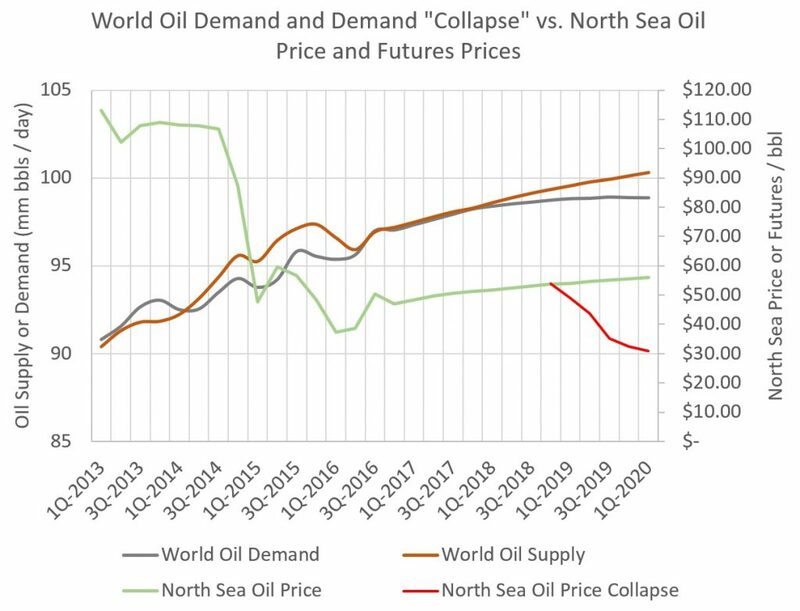 In order to get a sense of the future direction of oil prices, and by extension which technologies to invest in or which companies will thrive or fold, we need to consider the current likely future states of oil supply and demand in order to make a self-educated forecast of where the equilibrium will be in the future (down). This blog, Part 1, will focus on oil supply and another blog, Part 2, to be posted later, will focus on oil demand. So, all other things being equal, as oil prices crashed (again) then that means that the world must be in an oversupply condition (again). Sit back, grab a beer and a smoke, or a Timmies and a donut, and hold on tight as I lead you through a wonderful collection of charts and divinations. A lot of global oversupply is the result of the amazing growth in shale oil production in the United States, primarily the prolific production coming out of the Permian Basin in West Texas (Fig. 2). 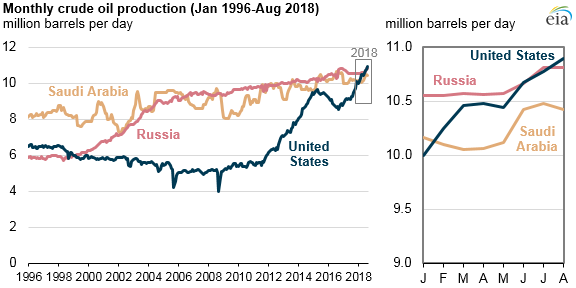 In terms of global oil supply, the United States has surpassed both Russia and Saudi Arabia to become the largest oil producer in the world (Fig. 3). 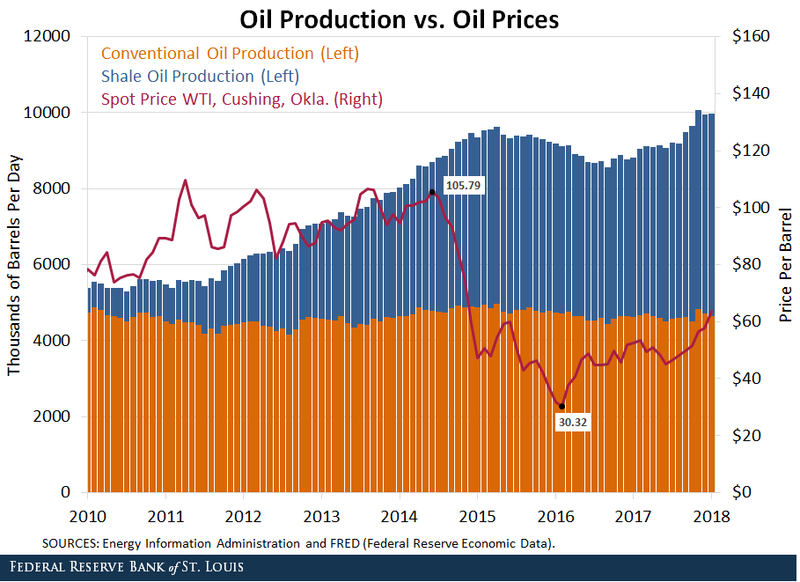 (Aside, this resurgence of United States oil production, along with the fracturing of OPEC, was forecast back in 2008 by Paul Michel Wihbey in his prescient book, “The Rise of the New World Oil Order”). The United States is not done growing its supply. Once the pipeline constraints in West Texas are resolved, Permian basin production can increase by another few million barrels of oil per day. Furthermore, if Americans can replicate the success of the Permian basin with the Bakken, Marcellus, and eventually the Greater Green River Basin (with estimated reserves of over 4 trillion barrels of oil, yes trillion), the United States will become totally self-sufficient in oil, and oil from the Middle East could be stranded. One thing I never wager against is American ingenuity to figure things out, but hopefully without reverting to again using atomic bombs. There are huge tight oil formations in other places too, including Argentina, Canada, Mexico, and Poland, and thus the potential for tight oil production from those places is also significant. Though maybe I should not include Canada as a potential tight oil supplier as Canada is suffering a politically self-inflicted mess that is making it difficult for Canada to maintain its current supply to global markets let alone expand it. The particular problems of Canada will be addressed in a separate blog. In addition to the growing shale oil production in the Unites States, there is the danger of Low Tech Legacy Suppliers (LTLS), also coming back on stream to quickly add to the global oil supply. My two favorite LTLS states are Mexico and Venezuela (Fig. 4). 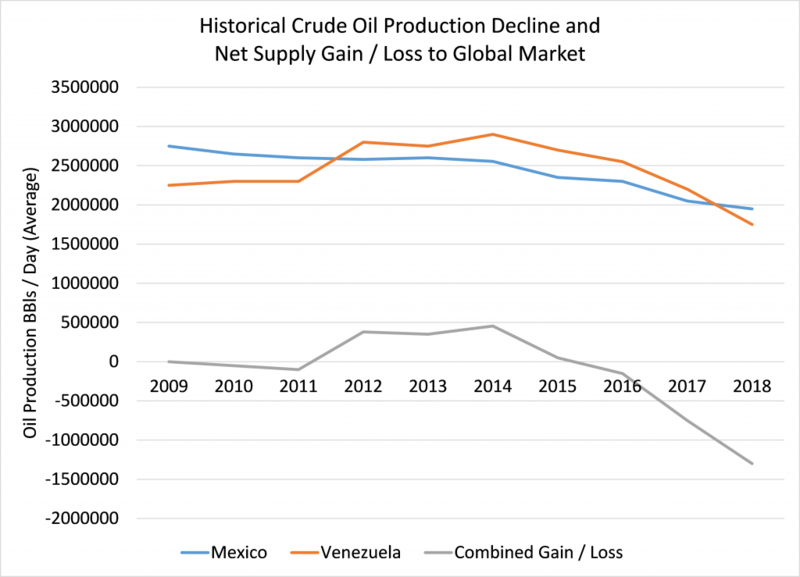 Looking at oil production in the last ten years together between Mexico and Venezuela, the loss of production is almost 1,400,000 bbls / day. This loss of production is mainly due to mismanagement of fields and infrastructure and not so much because of depletion or loss of access to world markets. Thus, with a bit of investment in hardware and meritocratic operators, the production of these two states could quickly increase back to historical levels which would then add back those 1,400,000 bbls of oil / day to an already well supplied global market. A similar review of production in states like Libya, Angola, etc., reveals that compared to historical averages, those states are under-producing by around 500,000 bbls / day, each, and those states could also, if the political will and competence is there, quickly rebuild production volumes. Iraq, much affected by war, has started to rebuild its production and is already producing at around 3,200,000 bbls / day with plans to increase production by another 1,500,000 bbls / day. Iraq is another LTLS country which just needs to apply a bit more hardware and people to ramp up production quickly. OPEC+ has for reasons of self-interest been ignoring the problems of Venezuela, and OPEC+ has probably been grateful that many other oil states have also been under producing. A new technology that is contributing to a boost of oil production and upward revisions of recoverable reserves is digital and data analytical technology. Though not yet widely applied in the industry, where it is applied, data analytics is already having a profound impact on production and costs. A good example is the announcement by BP that with better data analysis, BP was able to find additional, significant reserves in way of its Thunder Horse platform in the Gulf of Mexico. The result of this discovery at this one site is forecast to boost oil supply by about 100,000 bbls / day. It is not just the success with reevaluating data about existing fields; data analytics is now being used to improve efficiencies and output across the whole spectrum of oil production activities, including drilling. Most applications of “big data” to oil are still somewhat hush-hush, but conversations with a few neighboring firms suggest that the impact is substantial. The global oil market is already well supplied with oil and it won’t take much to flood the global markets. Adding even just a fraction of the technically available LTLS or tight oil to the global markets is very doable in the short term. Perhaps just an additional 100,000 bbls / day of new supply is enough to flood the market and keep oil prices low, even very low, because supply is plentiful but demand is weakening. Demand will be discussed more in Part 2. Right now suffice it to say that oil supply and oil oversupply is here to stay for a while.